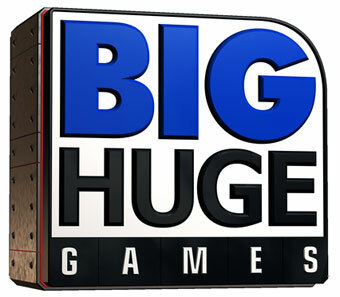 Big Huge Games Resurrected as "Epic Games Baltimore"
From the ashes of the 38 Studios debacle rises a new Epic studio. When Curt Schilling's 38 Studios imploded last month following missed payments to the State of Rhode Island, almost 400 workers across two states abruptly lost their jobs. Of that 400, 80 worked for 38 Studios property Big Huge Games, the studio responsible for well-received fantasy outing Kingdoms of Amalur: Reckoning. Now, cast out from this sea of sad news, a happy pearl has emerged: Gears of War developer Epic Games just has announced that it intends to hire a significant portion of the 80 Big Huge Games workers and set them to work in a brand-new Epic studio in Baltimore. "[Big Huge Games' leadership] wanted to start a new company and keep together some of the key talent displaced by the layoff, and hoped that they could use an Epic IP as a starting point for a new game," wrote Epic president Mike Capps in an employee announcement obtained by Polygon. "We loved that they all wanted to keep working together, but it was pretty clear they'd have trouble building a demo and securing funding before their personal savings ran out," he continued. "In one of life's coincidences, Epic's directors had spent the morning discussing how we'd love to build even more successful projects with our growing team, but that we'd need a dramatic infusion of top talent to do so. Which, we all knew, was impossible," he concludes. "So now we're planning to start an impossible studio in Baltimore. :)"
Sources close to the matter have indicated that the Epic Baltimore team will likely be put to work on an action RPG-style game, one which may be a completely new IP for Epic. Capps asked for fans and onlookers to give them a little time to work out the details. "It'll take a while to find space, set up desks and PCs, purchase sufficient Nerf weaponry and Dr. Pepper, etc," he said. "There's a million things to work out. We don't know all the answers yet. Please give us some time to figure it out; we hope to have more to share soon."